The Kansas City Royals defeated the Toronto Blue Jays by a score of 14 to 2. This puts the Royals up 3 games to 1 and they only need 1 more win to win the series and earn a place in the World Series. The new football stadium at Raytown South High School goes into service this Friday. The first game will be against Truman High School and game time is 7:00 pm. Below is a birds-eye view of the facility courtesy of the Raytown School District. The Raytown School District is pleased to announce its Alumni Hall of Fame Class for 2015. The class includes six individuals who will join the ranks of other respected alumni on during the September 18 and 19 Induction Weekend activities. Linda Rae Chappell is a 1965 graduate of Raytown South High School. She is the owner and president of SpiritWorks Cheerleading and Dance Company, the former owner and president of Dynamic Cheerleaders Association, an educator and an author. Stephanie L. Davis is a 1995 graduate of Raytown High School. She is the CEO and Founder of The Advocate Group, the Co-Artistic Director/Founder of Unbound Collective, and a marketing and branding consultant, Social Terra. Sgt. Major Kent Dolasky is a 1986 graduate of Raytown High School. He has served as the Commander of Joint Special Operations Forces Senior Enlisted Academy, is the recipient of the Bronze Star, Purple Heart and Army Commendation Medals, and is an Incarnate Word University Alumni of Distinction Award Winner. Tim Dollar is a 1977 graduate of Raytown High School. He is an award winning trial lawyer, has served as the Special Assistant Prosecutor, Jackson County, Missouri, and is a Founding Partner, Dollar, Burns & Becker, LC. Eddie Lee is a 1974 graduate of Raytown South High School. He is and internationally known cellist, performer, and teacher, is the Principal Solo Cellist of the Korean National Orchestra, and the Musical Director of the Ulsan Sinfonia Players (Professional Ensemble). Trevor Vance is a 1985 graduate of Raytown High School. He is the Senior Director of Groundskeeping and Landscaping for the Kansas City Royals, a member of 15 Superbowl and 3 Pro Bowl grounds crews, and a civic-minded volunteer. The six inductees will meet with students at the two district high schools, will be featured speakers at a luncheon, and will be introduced at the Raytown South vs. Raytown football game all on Friday, September 18; the formal induction is on Saturday, September 19. This is the 11th class to be inducted into the Hall of Fame, which began in 2005. 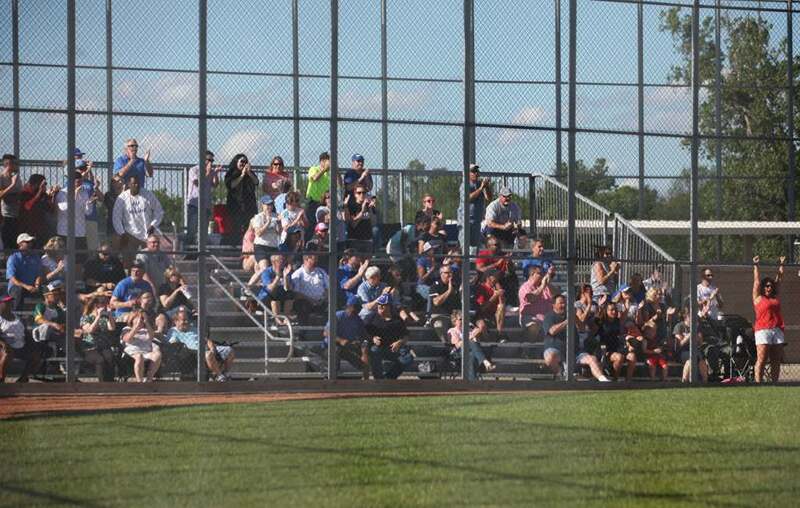 Here are some of the Blue Jay Fans at the game Photo Journalist Jeremi Barnes reports on in this article. All photos are also courtesy of Jeremi Barnes. 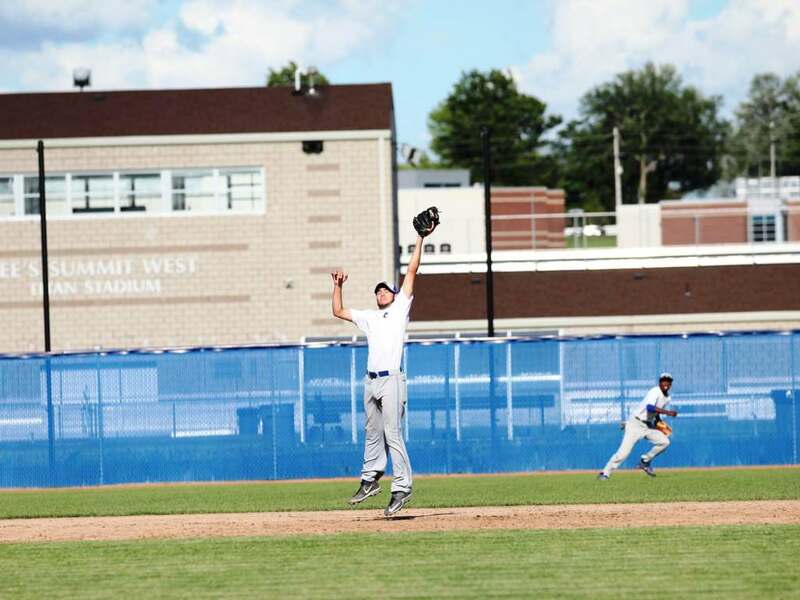 The Raytown Blue Jays record (11 – 14) earned them a 7th seed in Missouri Class 5 Boys Baseball District Tournament. They beat Truman, Raytown South and Blue Springs to become Missouri Class 5 District 14 Champions. 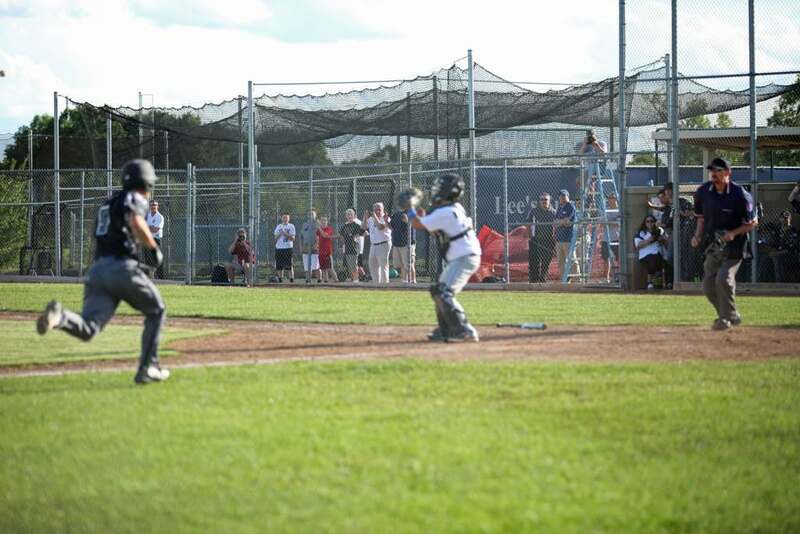 On Tuesday May 26, they played at Lee Summit West in the first round of the Missouri Class 5 Boys Baseball State Tournament Championship Brackets. 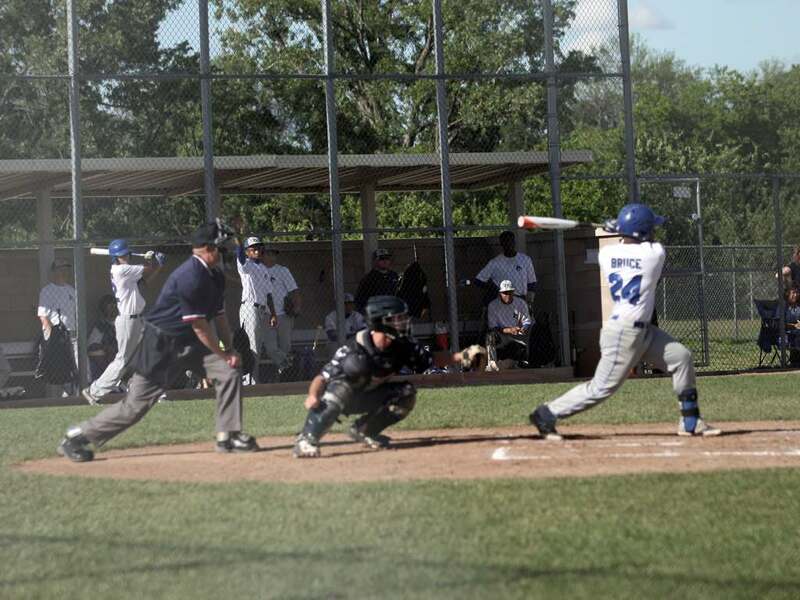 In the bottom of the third inning while down by 5, Senior Center Fielder #24 Maurice Bruce Jr gave the Raytown fans something to cheer about by hitting a standup double down the left field line. The Blue Jays scored 4 runs that inning. It was tied 5 – 5 going into the 5th when Junior right fielder #7 Grant Johnston made a rifle throw to Catcher Sophomore #20 Joe Benkovich to tag out #50 as he tried to take home. A great line drive catch by Senior shortstop #32 Austin Johnson. However, it was not enough to stop Lee Summit West. Lee Summit West scored 3 in the 5th and 4 in the 6th to beat Raytown Blue Jays 12 – 6. It was an exciting game until the last out. 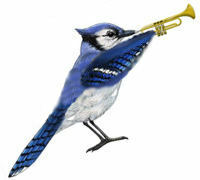 Congratulations to the Raytown Blue Jays for a great season! Raytown High School’s production of The Drowsy Chaperon earned the school two nominations in the Starlight Theater 13th annual Blue Star Awards. Nominees will receive their honors in a public ceremony on Starlight Theatre’s Cohen Community Stage on Thursday, May 21 at 7:30 p.m. The show was nominated for Outstanding Scenic Design and Construction, Tier I ($0-$1,850) and Outstanding Costume Design and Construction, Tier I ($0-$1,600). Modeled after Broadways Tony® Awards, the program annually recognizes achievement and excellence in high school musical theatre. This year, a total of 46 high schools producing 57 musicals participated. Starlight’s Blue Star Awards are open to the public and are sponsored by Blue Cross and Blue Shield of Kansas City. The Raytown School District is pleased to announce the hiring of Dr. Matt Jones as the principal of Westridge Elementary for the 2015-2016 school year. Jones is currently serving as an Administrative Intern at Blue Ridge Elementary. Jones earned a Bachelor of Science in Elementary Education from Graceland University and earned his Master in Education in Administration, Education Specialist in Administration, and his Doctorate in Educational Leadership from William Woods University. Jones began working in the district in 2003 and has serve as a paraprofessional, interventionist, elementary teacher, assistant principal, summer school principal, and administrative intern. 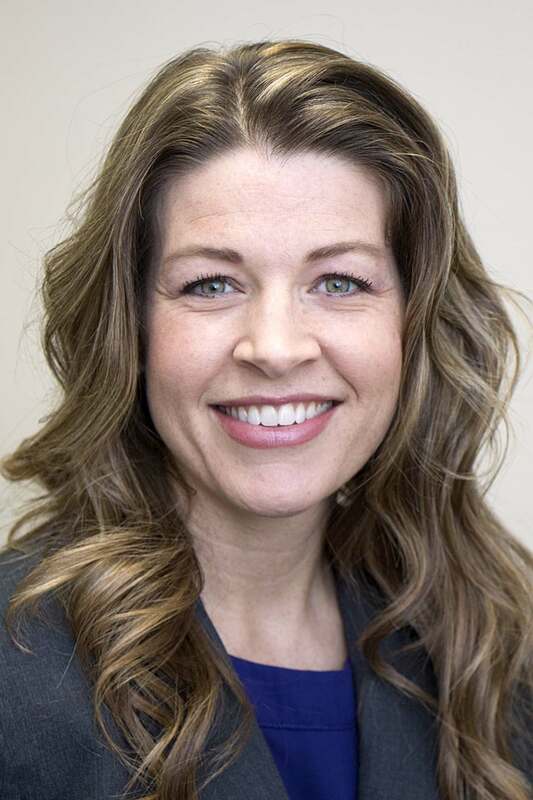 The Raytown School District is pleased to announce the hiring of Amanda Coleman as the principal of Eastwood Hills Elementary for the 2015-2016 school year. Coleman is currently serving as an Administrative Intern at Eastwood Hills. Attending Missouri State University, Coleman earned her Bachelor of Science in Communication Sciences and Disorders and her Master of Science in Speech Language Pathology. She earned her Education Specialist degree in Administration from the University of Missouri Kansas City. 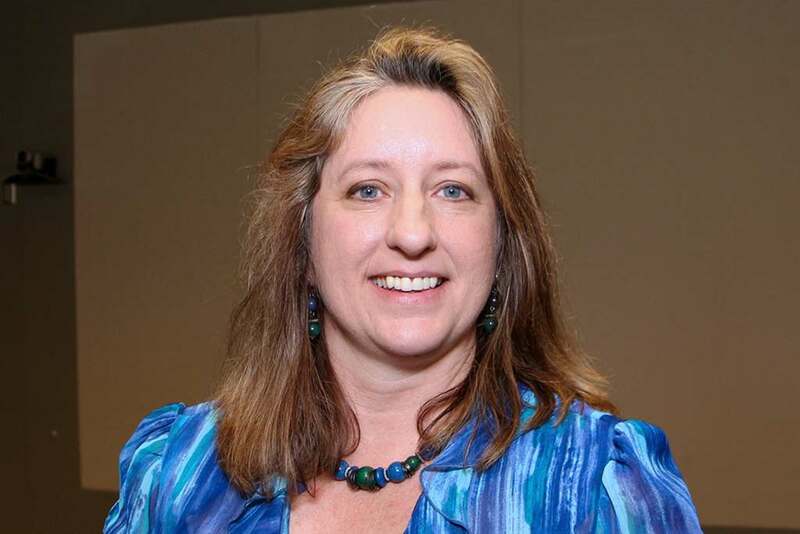 In 2009, after serving for six years as the Special Services Director for the Allen Village Charter School, Coleman began working in the district as a Special Education Coordinator. In 2011, she became the Administrative Intern at Eastwood. Coleman has also served as a summer school principal in 2010 and 2014. Raytown Students recognized as 2014-2015 Missouri PTA Reflection winners. 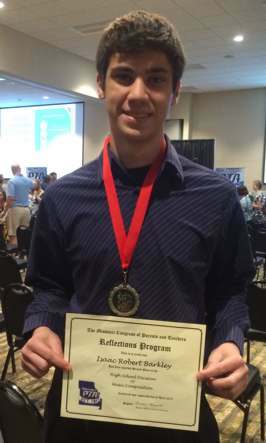 Raytown South High Junior Isaac Barkley and Raytown Central Middle 8th grader Anna Ryan were recently recognized as 2014-2015 Missouri PTA Reflection winners. Barkley placed second in the High School Music Composition division. He submitted a composition entitled The Journey, created to be performed by the string orchestra at Raytown South High. The Journey is Barkley’s second composition performed by the orchestra, and it was inspired by his desire to tell a story through the music and express different emotions listeners could relate to and explore. Ryan placed third in the Middle School Literature Division. Her piece entitled The World Would Be a Better Place If… explored this year’s Reflections theme by examining how taking the time to see the world through someone else’s eyes could improve our lives and have a positive impact on the world. The Missouri PTA Reflections program celebrates and recognizes student achievement in the arts. Each year, students submit original work based on the specific theme outlined for the year. The 14-15 theme was, “The world would be a better place if…” and students were encouraged to create art that captured their hope for the world around them. Kansas City Xtreme Wrestling (KCXW) and the Xtreme Wrestling Center (XWC), a professional wrestling training school serving the entire Kansas City metro area, will present their first double show on May 9 at the Pierson Community Center in Kansas City, Kansas. Shows start at 2 p.m. and 7 p.m. 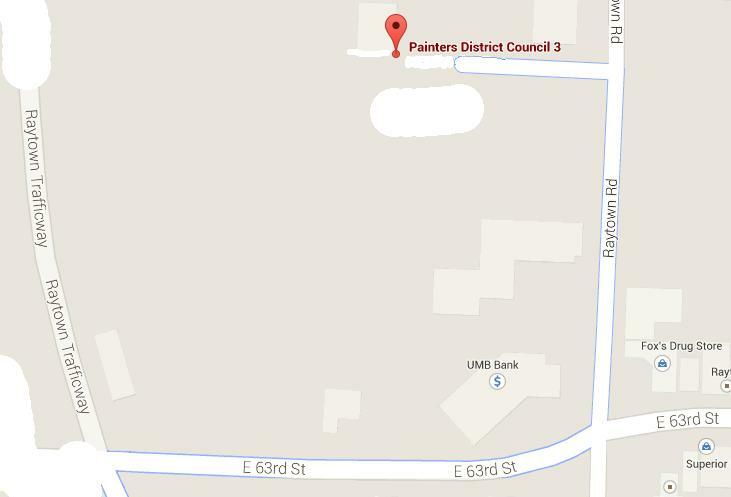 The community center is located at 1800 South 55th Street, Kansas City, Kansas 66106. Tickets are $10 General Admission and $15 Ringside. Kids 10 and under are half-price, as are active duty military and Veterans. Featured performers include: Angel Medina, The Riegel Twins, Darrien Sanders, “Smooth as Satin” David Cattin, Kyle King, JD Blak, Tommy Snow, Lady Pride, Captain Shabam and more. KCXW is seeking to bring the family tradition of Pro Wrestling back to Kansas City by providing affordable wrestling entertainment in the KC area. Sponsored by the Xtreme Wrestling Center and run by Marine Veteran President Jordan ‘Smiley’ Rogers, KCXW is blazing a new trail in Kansas City Pro Wrestling. Raytown High School music students recently competed at the District level. Those who received I’s will advance to compete at the state level. Mosha Clyma, Grace Givens, Caleb McCarroll, and Alex Sons all received ones on their solos. In the Madrigal category, Tristen Caudle, Emma Drace, Zach Kujath, Julianna McCarroll, Melody Olvera, Alejandro Reliford, Alex Sons, and Hannah Treat received I ratings.The trio of Emma Drace, Julianna McCarroll and Hannah Treat also received a 1. Vocal Soloists who received a “2” rating were as follows: Madilyn Baker, Leigh Ann Beam, Tristen Caudle, Emma Drace, Raheem Fielder-Bay, Raynesha Green, Demetrius Hampton, Mikiah Hulme, Zach Kujath Julianna McCarroll, Melody Olvera, Eva Perez, and Hannah Treat. A sextet of Madilyn Baker,Leigh Ann Beam, Stephenie Borja, Caleb McCarroll, Clint Wallace, and Gi Gi Willett, and a Miscellaneous Ensemble consisting of Jordan Atkins, Shirley Betancourt, Machelle Carman, Raheem FIelder-Bey, Elana Harris, DaeSean Jones, and DeAngela Warren received a 2 rating. Other 2 ratings were the Double Quartet of Jonathan Castillo, Tristen Caudle, Jonathan Castillo, Richard Jones, Kujath, Isaiah Mayfield, Alejandro Reliford, and Alex Sons; the Double Quartet of Dillon Gercone, Raynesha Green, Demetrius Hampton, Mikiah Hulme, Dominic Marchese, Kaylnn Murray Jordyn Poynter, and Chris Sadler; and the Sextet of Maria Beam, Raynesha Green, Mikiah Hulme, Kaylnn Murray, Eva Perez, and Jordyn Poynter. The vocal musicians are taught by Alex Kolster. Orchestra students who earned a I rating are as follows: Hannah Steele, piano solo; Viviana Olvera Sydney Middleton, and Skylar Thompson, violin solos; Melody Olvera and Ashton Yoder, cello solos; Brianda Taylor, string bass solo; and Anisah Marshall and Sydney Middleton, violin duet. The following students received a 2-Outstanding rating at the district festival this weekend: Sophie Miles, Asha Berry and Sage McKenna, violin trio; and Hannah Steele, Samantha Carroll, Antiana Richardson, and Demetrius Hampton, string quartet. Orchestra students are taught by Amy Sadler. The following instrumental music students received a 1 rating and are eligible to attend State Solo and Ensemble in May: Emma Drace and Hannah Treat, horn solos; Jarrell Lee, baritone sax solo; Jon Marple, oboe solo; Matthew Maynard and Nathan Verhulst, trumpet solos; Rachel Miller, flute solo; Rachel Miller, Madeline McCready, and Katie Rock, flute trio; Adriana Albor, Nathan Verhulst, Matthew Maynard, trumpet trio; Alex Bearden, Shannan Lewis, Spencer Beaman, Jordan Patrick, and Joe Straws, marimba solos; and Evalynn Lomax and Spencer Beaman, snare solos. Those who received a 2 rating were: Adriana Albor, Fred Farrand, and Kelly Miller, trumpet solos; Emma Schoolcraft, Katie Rock, and Madeline McCready, flute solos; Kevin Johnson, tenor sax solo; Raheem Fielder-Bey, baritone solo; Simone Jones, clarinet solo; Raheem Fielder-Bey, Trent Lindley, Kelly Miller, baritone trio; Nathan Verhulst, Jon Marple, Trent Lindley, Isabella Liggett, Raheem Fielder-Bey, andTroy Oberholtz, brass sextet; Truman Steehn, Alexis Andonie, and True McKenna, trombone trio; Jon Hernandez and Dante Woods, snare solos; Earl Bradshaw and Evalynn Lomax, marimba solos; and Madison Barrett, piano solo. Instrumental music students are under the direction of Joseph Hill. Students from Raytown South High School attended the annual Missouri Family, Career, and Community Leaders of America (FCCLA) State Leadership Conference, March 22- March 24, at the Holiday Inn Executive Center, Columbia. The delegates from across the state represented the more than 11,500 members of Missouri FCCLA. This year’s student-developed conference theme was “Camp Leadership” The conference featured speakers and workshops on topics such as preparing for college and careers, leadership skills, anti-bullying programs, and technology’s impact in education, careers, and on the family. In addition to leadership training, honors and recognition, more than 700 students participated in 30 competitive events, including early childhood education, entrepreneurship, culinary arts, fashion design, career investigation, chapter service learning projects and sports nutrition. Janelle Dempsey earned a Gold Ranking, State Champion, and a berth to the National Leadership Conference in July in Fashion Design. Helene Slinker, Alyssa Jones, and Vinka Martinez earned a Gold Ranking, State Champions, and a berth to the National Leadership Conference in July in Life Event Planning. Taelor Ingram and Jasmine Pope competed in Illustrate Talk and earned a Silver ranking. Maia Lewis, Krystal Mayberry, and Zaria Akins competed in Chapter Service Project Porfolio and earned a Silver ranking. The group’s sponsor is Jenna Adkins. Family, Career and Community Leaders of America is a Career and Technical Student Organization (CTSO) for young men and women enrolled in family and consumer sciences education courses. Since 1945, FCCLA members have been making a difference in their families, careers, and communities by addressing important personal, work, and social issues. The Missouri association ranks fifth in the nation in membership with more than 11,500 members. There are more than 350 FCCLA chapters across the state. 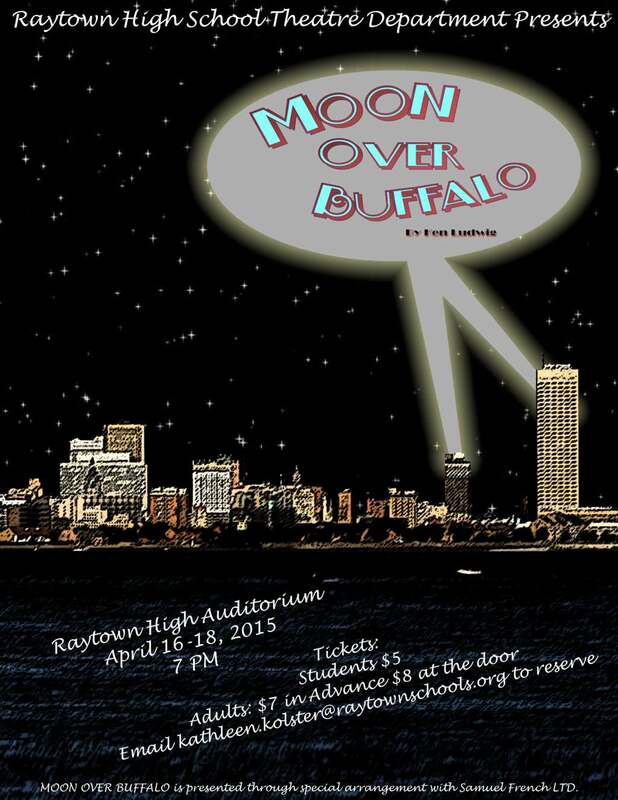 The Raytown High School Theatre department will perform Ken Ludwig’s Moon Over Buffalo on April 16, 17 and 18 at the high school. Set in Buffalo, New York in the 1950s, Moon Over Buffalo is a high energy comedy. The plot involves a family of actors trying to put on a play for a big movie director, Frank Capra. Throughout the show, identities are confused, actors are misplaced, and bringing Murphy’s Law to life, anything that can go wrong will go wrong. “As the director of this wild show, I have really enjoyed watching these actors grow and use their comedic talents to tell such a fun story,” Director Katie Kolster said. Performances begin at 7:00 at the Robert B. Atkins Performing Arts Center, 6109 Blue Ridge Blvd. Tickets are $5 for students. Adult tickets are $7 in advance or $8 at the door. Due to the limited number of seats available, advance ticket purchase is suggested. Those interested in attending may call the high school at 268-7300 or email kathleen.kolster@raytownschools.org to RSVP. 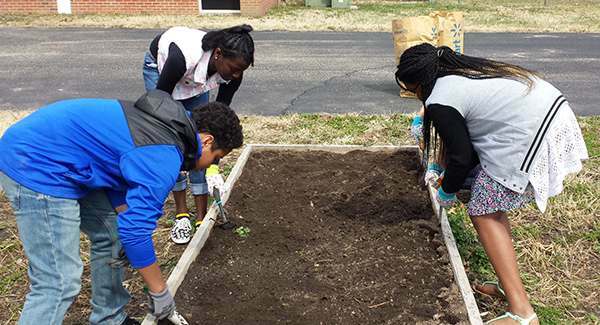 Raytown South Middle School students are mimicking the moves of local gardeners, as they once again break ground in their school garden. Initially started with funding from a Raytown Educational Foundation Grant in 2011, by sponsors Heather Reardon and Kevin Easley, the garden is now in ints 4th year and several hundred students have been involved with planting, weeding, watering and harvesting throughout the years. The school has partnered with Kansas City Community Gardens since 2011. The first year KCCG came out and students helped build 4 raised beds. Teachers Nancy Booth, Kristie Hudson, Kelcey McCauley and Natalie Kane all have students from their Advisory classes helping this year. “The farm-to-table movement has been ?really big the past several years in the food industry. I saw the school garden as a way for kids to learn about where their food comes from-that to grow a potato you plant a potato and to grow peas you plant a pea,” Reardon said. Reardon takes students out a few times a week to do maintenance, and they use some of the harvested items for cooking in her Family and Consumer Science classes. This year they have planted spinach, broccoli, carrots, Swiss Chard, rainbow chard, mustard greens, green onions, radishes, arugula, sugar snap peas, and purple potatoes, all of which should be ready for harvest by the end of the school year. Items not used in the cooking classes are for the students to take home and enjoy, and when there has been a surplus, the gardeners have donated the fresh produce to Raytown Emergency Assistance Program. Some years the group has planted over the summer-tomatoes, cucumbers, and peppers, but maintaining the garden becomes a struggle when school is out, according to Reardon. Several basketball players in the Raytown School District have recently earned post-season honors. Raytown High girls basketball players Kyessence Collins and Dajanae Wilson were named to the All-District First Team. Collins and Wilson were also named to the All-conference 1st team. Camryn Kuehl was named Academic All-State. The Lady Jays are coached by Jan Handley. Raytown High boys basketball players Jailen Gill, Brandon Sublett, and Derrick Walker were named to the All-District First Team. Gill was also named the Conference Player of the Year for the second year in a row. Walker, Sublett and Will Nelson were named All-Conference 2nd team, and John Burton was named All-Conference Honorable Mention. The Bluejays are coached by Cody Buford. Raytown South girls basketball players Bre Carter and Virja Lewis were named to the All-District First Team. Carter and Lewis were also name to the All-Conference 2nd team, and Diamond White was named to the All-Conference Honorable Mention team. The Lady Cardinals are coached by Aaron Ihm. Raytown South boys basketball players Tyrone Gibbs, Bryan Trimle and Elijah Childs were named to the All-District First Team. Gibbs was also named All-Conference First Team. Childs and Trimble were named All-Conference Second Team. Cardinal coach Brad Oestreich was named Conference Coach of the Year. The Raytown School District is pleased to announce the hiring of Dr. Marlene DeVilbiss as the Director of Human Resources. Devilbiss will begin her duties July 1, and replaces Dr. Steve Shelton, who has been named Associate Superintendent of Operations. DeVilbiss has most served since 2012 as Principal at Eastwood Hills Elementary in Raytown. She has also been the Director of Federal Programs and Extended Learning, an Instructional Coach and a reading teacher in the district. “Although I will miss working with the staff and families at Eastwood Hills, I am excited to take on this new challenge. 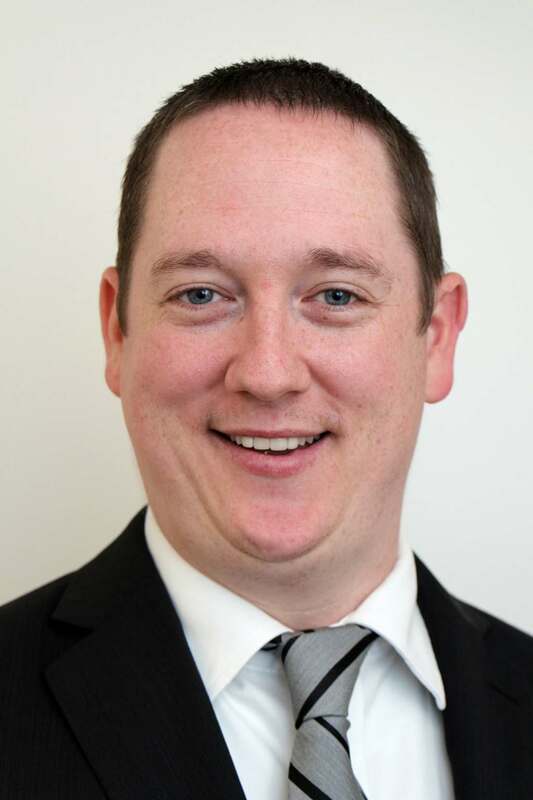 I look forward to serving the Raytown School District in a different capacity,” DeVilbiss said. DeVilbiss was the 2014 Distinguished New Principal award winner from the Kansas City Elementary Suburban Principal Association. She earned her Bachelor of Science in Elementary Education from the University of Missouri-Columbia, her Masters in Reading Education from the University of Missouri-Kansas City, her Specialist in Elementary Administration from the University of Central Missouri, and her Doctorate in Educational Leadership from the University of Missouri- Kansas City. Mrs. Clarica Tulli, Westridge Elementary is the Raytown Schools District Teacher of the Year. 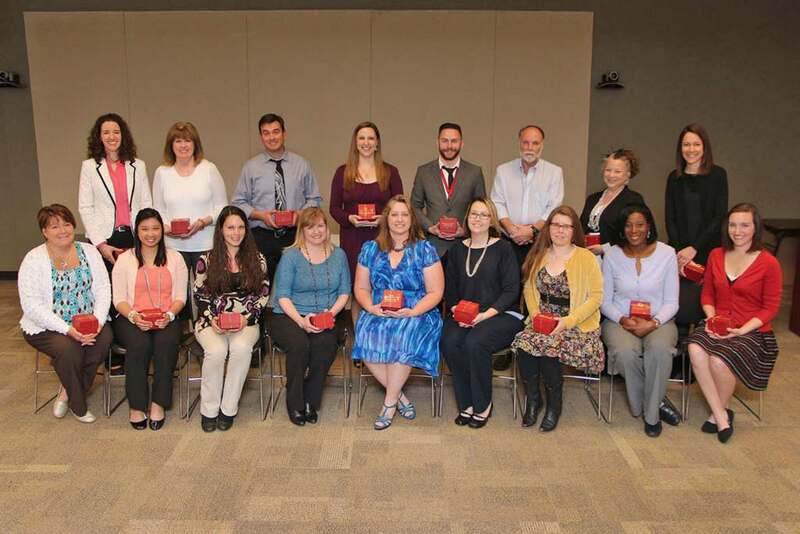 Seventeen teachers were recently honored by the Raytown School District as Building Teachers of the Year. Front row from left to right, Peggy Caton, New Trails; Cecilia Lopz, Southwood; Rachel Hufferd, Laurel Hills; Kelly Schoolcraft, Norfleet; District Teacher of the Year, Clarica Tulli, Westridge; Heather Reardon, Raytown South Middle; Angelique Hanning, Little Blue; Candance Lindley, Spring Valley; and Michelle Gowans, Eastwood. Back row, left to right, Marie Tracy, Northwood; Geri Ricciardi, Raytown Middle; Blaine Lewis, Raytown High School; Hilary Roark, Robinson; Brent Martin, Raytown South High; Geno Ostermeier, Raytown Central Middle; Tina Loman, Blue Ridge; and Kim Nelson Fleetridge. The Raytown School District is pleased to announce Clarica Tulli as the 2015-2016 District Teacher of the Year. Tulli teaches Kindergarten at Westridge Elementary. 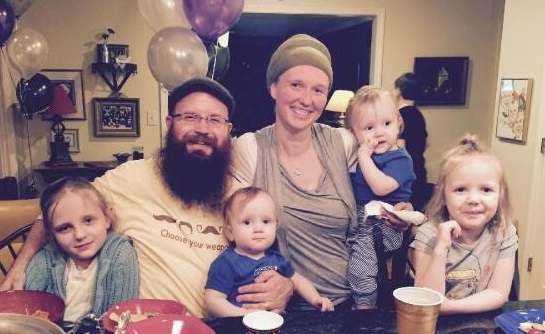 Tulli earned her teaching credentials from Graceland University and has taught for four years in Raytown. Tulli is a Teacher Leader in her building, a Mentor Teacher for new staff, and curriculum writer for the district. Westridge principal Suzanne Brennaman calls her a “Reflective instructor” who is outstanding at collaborating with colleagues. Dr. Sandra K. Hamar, Tulli’s college professor said, “Teaching is truly Clarica’s calling in life, and she fulfills it masterfully.” Tulli will be a featured speaker at the District’s annual Convocation in August and will represent Raytown as a candidate for Missouri Teacher of the Year. Other building candidates were Peggy Caton, New Trails Early Learning Center; Michelle Gowans, Eastwood Hills; Angelique Hanning, Little Blue; Rachel Hufferd, Laurel Hills; Blaine Lewis, Raytown High; Candance Lindley, Spring Valley; Tina Loman, Blue Ridge; Cecilia Lopez, Southwood; Brent Martin, Raytown South High; Kimberlee Nelson, Fleetridge; Geno Ostermeier, Raytown Central Middle; Heather Reardon, Raytown South Middle; Geri Ricciardi, Raytown Middle; Hillary Roark, Robinson; Kelly Schoolcraft, Norfleet; and Marie Tracy, Northwood School. Raytown South High boys’ basketball team beat Grandview 69 to 68 to win the Class 4 District 14 Championship. The game was played at Grain Valley High School on Friday March 6, 2015, where #34 Tyrone Gibbs senior led the team with 47 Points, 15 rebounds, 4 blocks. He hit the game winning free throw and was named player of the game. They advanced to the Class 4 Sectional where they were beat by Bolivar High School in the first round. Raytown South finished the season with 17 wins and 11 losses. Raytown High School was the Suburban Mid-Seven 2014-2015 Conference Champions but lost to Lee Summit High School in the Class 5 District 14 Championship Game. Raytown finished the season with 19 wins and 9 losses. 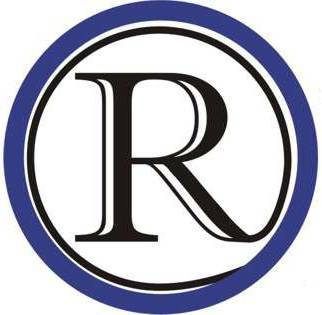 The Raytown High School Robotics Team’s robot and tool were stolen from a van parked in the driveway of one of the team’s coaches in Independence on the morning of Monday, March 9th, 2015. A computer and toolbox were also stolen from the van. Thieves gained access by breaking out the back window. The Raytown School District is proud to announce building-level Teachers of the Year for the 2015-2016 school year. The selected teachers were chosen by their peers and have the opportunity to interview for Raytown School District Teacher of the Year. The winner will be announced at the annual breakfast held on Friday, March 27 where each teacher will be recognized by their principal, peers, and District administration. Building representatives are as follows: Tina Loman, Blue Ridge Elementary; Michelle Gowans, Eastwood Hills Elementary; Kimberlee Nelson, Fleetridge Elementary; Rachel Hufferd, Laurel Hills Elementary; Angelique Hanning, Little Blue Elementary; Peggy Caton, New Trails Early Learning Center; Kelly Schoolcraft, Norfleet Elementary; Marie Tracy, Northwood School; Geno Ostermeier, Raytown Central Middle School; Blaine Lewis, Raytown High School; Jeri Ricciardi, Raytown Middle School; Brent Martin, Raytown South High School; Heather Reardon, Raytown South Middle School; Hilary Roark, Robinson Elementary; Cecilia Lopez, Southwood Elementary; Candance Lindley, Spring Valley Elementary; and Clarica Tulli, Westridge Elementary. 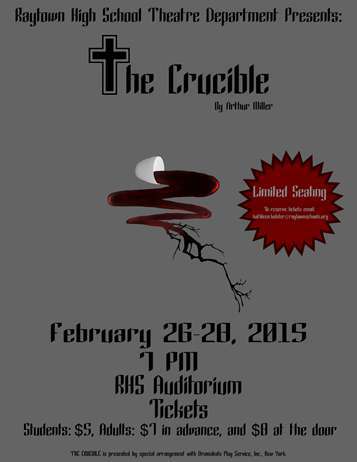 The Raytown High School Theatre department will perform Arthur Miller’s The Crucible on February 26, 27, and 28 at the high school. Set in Salem, Massachusetts in 1692, the play is a dramatic re-enactment of the Salem Witch Trials. The play is based on real events, but is not actual history. When the play first appeared on stage in 1953, it was intended to be an allegory about the anti-communist Red Scare and Senator Joseph McCarthy’s congressional hearings. Thursday, February 26th and Friday, February 27th’s performances begin at 7:00 at the Robert B. Atkins Performing Arts Center, 6109 Blue Ridge Blvd. Saturday, Feburary 28th’s performances are at both 2:00 and 7:00 p.m. According to Kolster, the play will have a different feel for the audience. “It used to be a tradition at Raytown High that every year, one of the plays would be performed ‘in the round,’ meaning that the audience is seated around the stage. This show will revive that tradition. Forcing the action so close to the audience creates an intimate atmosphere and also heightens the emotional content,” Kolster said. Due to the limited number of seats available, advance ticket purchase is suggested. Those interested in attending may call the high school at 268-7300 or email kathleen.kolster@raytownschools.org to RSVP. Braden Best and Hanna Treat will portray John and Elizabeth Proctor, Dykota Sprinkle and Amethyst Moraine will portray Giles and Martha Corey. Francis Nurse and Rebecca Nurse will be played by Lia Bowne and Hannah Steele, and Tituba and Sarah Good will be played by Raynesha Green and Gi Gi Willett. Brooke Griggs, Hope Romero, Leigh Ann Beam, Mosha Clyma, Tina Mathis, Grace Givens, and Iliana Miller will portray The Girls. The People of Salem will be played by Stephen Reynolds, Gabe Sawyer, Jessica Madrid, Jeremiah Paul, and Ashley Dedrickson. Members of The Court will be portrayed by Zach Kujath, Austin Hardiman, Emeril Hart, Richard Jones, Chris Solomon, and Nathan Holloway. Zach Thonen is serving as Technical Director and Scenic Designer. Assistant Directors are Emma Drace and Abbie Braly. Stage managers are Leah White, Julianna McCarroll, and Tyler Stanway. The Fly Rail Operator is Leah White and the Lighting Designer and Board Operator is Hannah Wadleigh. Costume and Hair and Makeup Design are provided by Demetrius Hampton and Melanie Newton respectively. Elizabeth Kujath is the Sound Designer and Board Operator, and Raheem Fielder-Bey and Amethyst Moraine are the Props Designers. Vinzent Guthrie and the high school Graphic Design class created the poster for the play, and the box office will be managed by Luther Wright and Kayla Lee. The Raytown PTA Council have invited our School Board member candidates and mayoral candidates to our February Unit meeting that will be Monday, February 23rd at 6 PM at Spring Valley Elementary. Each candidate will introduce themselves and then have some questions for the candidates to answer regarding youth, family’s and education in Raytown. 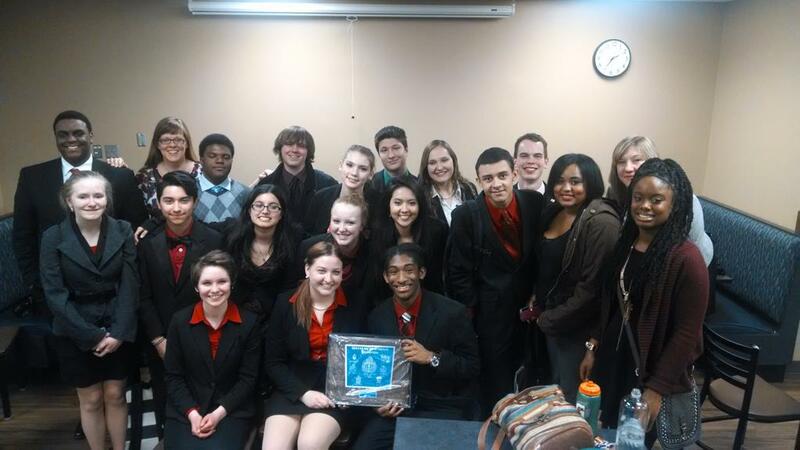 Raytown South Speech and Debate teams Division Champions. The Raytown South Speech and Debate teams are Suburban Conference Blue Division Champions. First place finishers in individual speech events were: Constanza Castro, Lauren Douglas, Brandon Guzman, Amanda Johnson, Alyssa Jones, Holly Sullivan, Jacob Summers, Paige Teeman, Hannah Unruh, and Matt Vanross. David Dempsey and Bri Wesley won 3rd place medals. Gordon Casey, Brycen Hill, Ashtyn Lea, and Josh Williams all finished in the top 8 in speaking events. First Team All-Conference selections in speech were: Lauren Douglas, Juan Rustin, Helene Slinker, Paige Teeman, and Hannah Unruh. Daniel Dodd, Brandon Jones, Megyn Payne, and Parker Simpson all placed in the top eight in debate events. First team all-conference debaters are: Gordon Casey Alexis Hampton, Juan Rustin, Jacob Summers Sydni Turner, and Cody True. The teams are coached by Maureen Woods and Kristy Hensley.